With the help of ballistics computers, integrated devices, and other high-tech advances, the firepower of the individual soldier is growing by leaps and bounds. 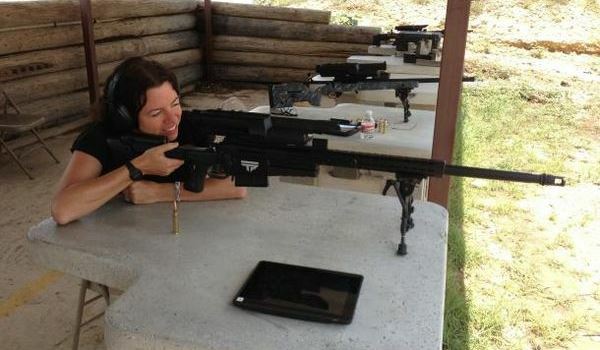 And now, thanks to weapons like the Tracking Point “smart rifle”, which utilizes computer-assisted aiming, just about anyone will be capable of becoming a sharpshooter. Tracking Point’s team is located in north Austin, Texas, where they have been working for many years to produce a truly “smart rifle”. 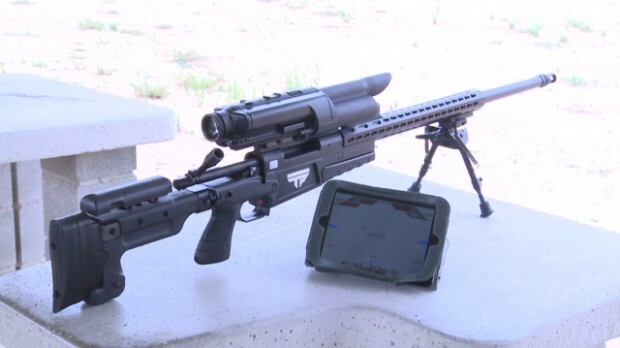 After three years, they managed to create a weapon that can hit targets up to 915 meters (1,000 yards) away with near 100 percent accuracy. To put that in perspective, that’s about the length of ten football fields. Interestingly enough, Tracking Point’s technology was born of frustration. The company’s founder, John McHale, came up with the idea for a smart rifle after returning from a 21-day hunting trip in Tanzania, where he failed to bag the elusive Thompson’s gazelle. Despite repeated attempts that seemed sure to hit the mark, he kept missing, as he lacked the skill to make the necessary corrections for a long-distance shot. As a Texas native, McHale worked for decades in high-tech. He founded and ran several startups, including NetWorth and NetSpeed, which developed products that brought high-speed Internet to businesses and homes. Using technology to help people deal with the variables of long-range shooting – like shaky hands, wind, and bullet drop – seemed like a good fit with his approach to problem-solving. Basically, long-range shooting involves a lot of math, incorporating velocity, ballistics, wind speed, and sometimes even Coriolis forces. Basically, as soon as a bullet leaves the gun, it becomes subject to gravity and is fighting to stay on course. The longer the range, the more difficult it is to make an accurate shot. For experienced long-range hunters, these variables are often kept track of using a “dope book” or log. 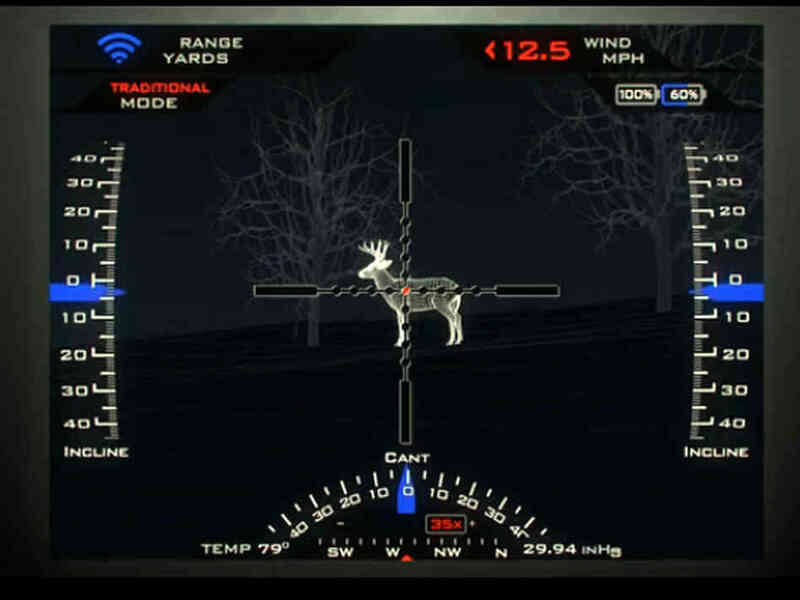 With a computer-assisted scope, all of this information is gathered in real time by the gun itself and then fed to the shooter via the display in the eyepiece. 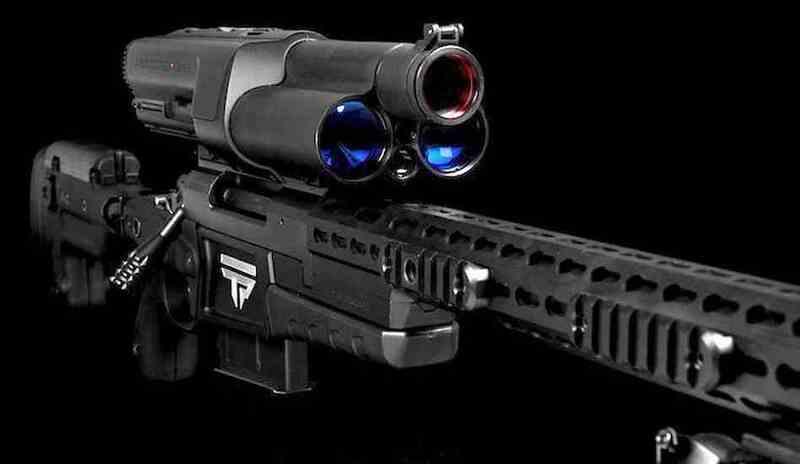 And while Tracking Point’s rifles are the first type of gun like this on the market, many are sure to follow. Already, a few companies are working on other types of smart firearms, gun-centric apps, and tech-infused scopes. But of course, this invention goes far beyond the field of sport hunting. The US Army and every other advanced military on the planet is also heavily invested in integrated software and targeting computers to their firearms. And with the development of smart scopes and specialized apps, a new revolution is underway in firearms that has not been seen since the advent of gunpowder. For those interested in buying one of these rifles, the company has indicated that their is a sixth month back order waiting period. Each one goes for around $25,000 apiece, and the company has already sold out on all the weapons it has slated until the end of the year. Beginning back in may, Tracking Point began shipping their rifles to buyers, and planned to make 400 to 500 by 2014. Just how long before this gives us another thing to worry about when it comes to guns? At this price, probably awhile. And I do imagine this sort of tech will be featured in future debates about the 2nd Amendment. Yeah, about how it’s just another thing that if restricted will allow a conspiracy that Obama is the head of to take over the world. That’s the argument I’m hearing in the far off future, anyway. Oh I don’t doubt it. Though by that time, I’m sure it will be President Pelosi or Hillary or whoever the top contender is for the 2020’s. Times change but the BS stays the same.